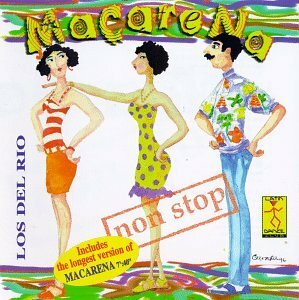 Macaroni, Parody Song Lyrics of Los Del Rio, "Macarena"
Hey, come on! What was I supposed to do? He was out of line, and his comments were soooo lame! I hated the OS but loved this. Great job. I prefer making Polenta, as the aroma of it baking, is just so nice . . . and as a Hot cereal with freshFruit & Milk au Goat in the AM, it is divine, Sir ! It's dinner and entertainment! Great work here Melanie! Really fun and difficult amount of rhyming here to boot. Well, I had to take a look at the song that spawned so many comments on the messageboard. Looks like a good song about a dinner date :) As Matty said, great job with the rhyme scheme. Macarena...Macaroni. Very interesting. Move over, Weird Al! This is a very hard song to do a parody on, but you, ma'am, hit it off perfectly!! I eat three kinds of macaroni dishes: Mac and Cheese, Macaroni Salad, and my father's Elbow Macaroni Soup. Your song is sooooo funny! I love the part where Kevin wretches off Jenna's Macaroni. I'd say, Jenna must be an awful cook. 5's all the way, Mel! I agree with Tomario's reponce on this, I don't know why everybody is trying to put it down because it's about a date for sure. There's no reason that this could not be about a date, other than the fact that it's a dinner date and that happens between friends sometimes too, but the fact that this guy wants to win her over by eating her crappy Macaroni means it's for sure a date. Agrimorfee and Arwen can you two please explain yourselves? Wow, Matthias, wow. I'm sorry if I'm a little bit bugged by your comment. I never "put it down." Ever. I never would...it's a fine parody. If I were to read this parody outside of the contest, however, I would think "that was a funny parody about Macaroni." I wouldn't think "that was a funny parody about a date." In my opinion, just because something happens "on a date" doesn't mean that the parody is about dating. Take for example, my parody "I've Broken a Bone, Now." That parody officially "takes place" on a date...but I wouldn't put it in the category of a "date" parody. It's about being clumsy...or bodily injury...whatever. And that's my opinion...which I'm entitled to. As I said, over on the thread...the popular vote will prevail...Agri and I are certainly not "everybody" as you said...and if the rest of you choose to vote for this...then it will win. What's the big deal?? It's no different from certain people finding certain parodies to be funny...when others do not. It's a matter of opinion...of personal taste...and nobody should be asked to "explain" themselves over expressing their opinion. Arwen... I didn't mean it the way you took it at all. I just wanted to know how you too didn't think that this was about dating, when it was about a dinner date. I understand your points here, but I didn't mean any offense and I'm sorry if it came off that way. (Ages) Mmm, had similar thoughts regarding the topic, but as it's not about deep-sea diving or income tax, I think there's enough there to relate it to a dating theme. A tour de force of end rhyme here and truly well writted. 555g of pasta. Thanks for the comments, and the controversy! Of course it's a dinner date! Since the category was broadly presented as "The Dating Scene" and anything that had to do with it, well, this fits, too! What if I had written about a couple of twelve-year-olds going together to an amusement park and the girl wanted to kiss the boy? Wouldn't that be part of "The Dating Scene" too? Also, I think one of the judge was thrown because this parody also touches on (unknown to me at the time) the next category, Food or Dieting. Doesn't a lot of dating involve food? (Ages) I never thought it would bes possible to parody Macarena, let alone parody it well. You've certainly proved me wrong, Melanie, this one should get into my top 5 for sure. 555, and a stomach pump for Tony. (Ages) Let it be known that i have no qualms about the content of your song as it applies to this contest in spite of what I posted at the message board. This was the most creative that I have read so far in this round-- to have a storyline with 2 POVs going through, one for the girl and one for the boy. So many "-oni" rhyming words! Funny stuff. (Ages) this song is rarely parodied because of it's difficultly level, very impressive with the rhyme scheme, having taken this one on myself, I know what a pain you went through to write this. 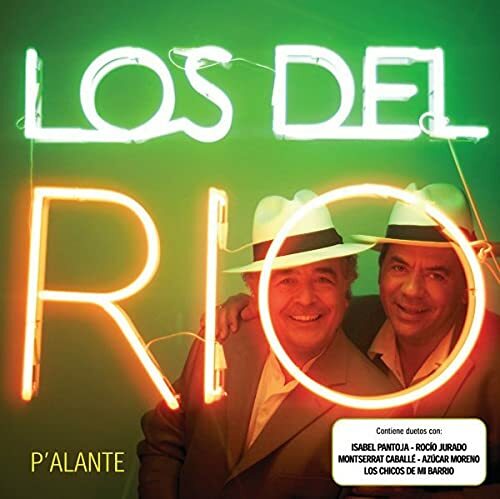 The address of this page is: http://www.amiright.com/parody/90s/losdelrio4.shtml For help, see the examples of how to link to this page.